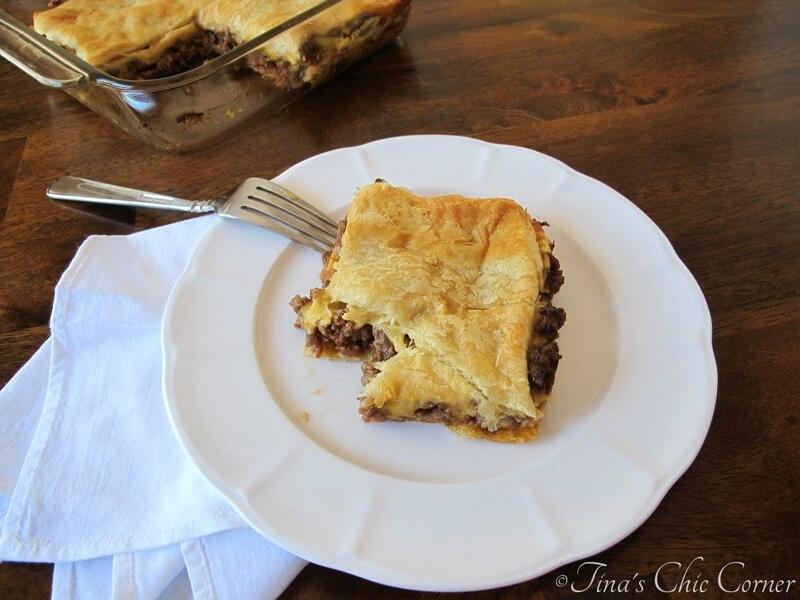 A few weeks ago I shared with you my favorite comfort food as a kid, the Hamburger Pie. It consists of cheese and ground beef nestled inside crescent rolls or as I like to call it a “fancy cheeseburger.” The other day my husband suggested we make his mom’s famous cheese slop recipe, which was one of his favorite meals growing up. Cheese what? It’s essentially ground beef, pasta, and Velveeta cheese. It’s funny how one of his favorite childhood dishes has many of the same components as mine. My hubby took the lead in making it. (Thanks, love.) 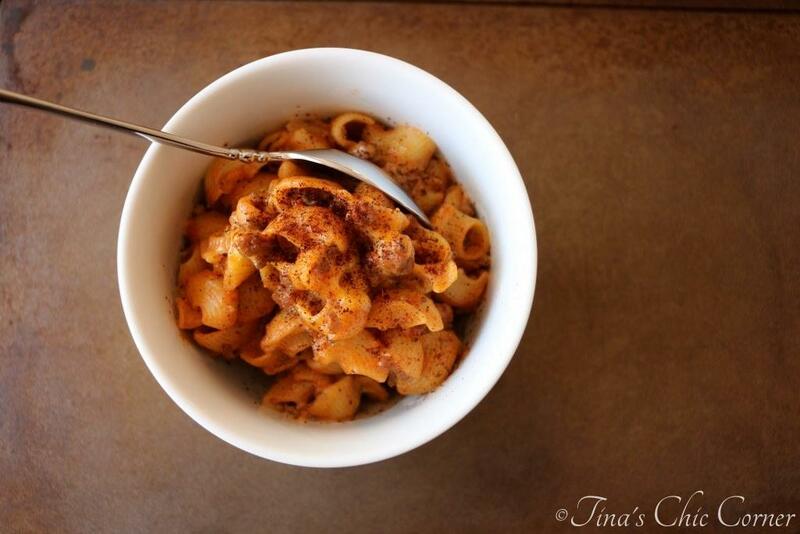 It’s a delicious ooey gooey cheesy dish full of meat and small pasta. Yea, this is definitely feel-good food. 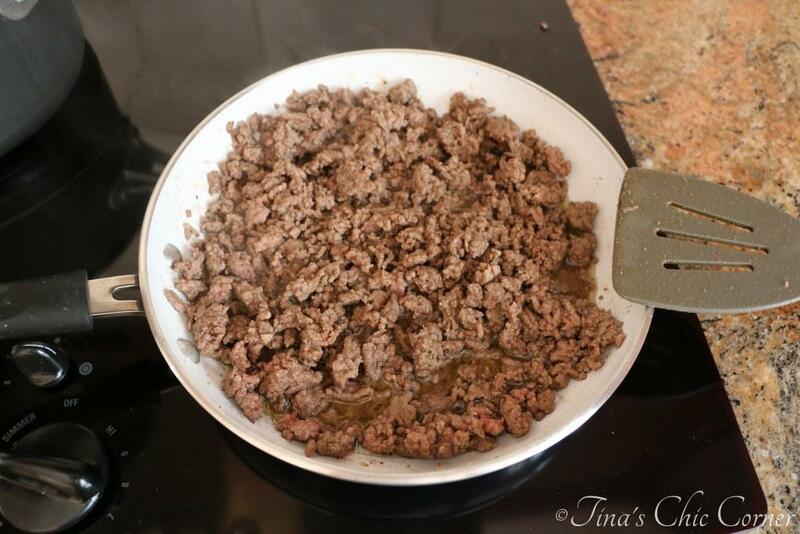 In a skillet, cook the ground beef. Once cooked, drain the meat (removing the juice). In a large pot, cook the pasta according to the directions on the box. Drain the pasta and put it back in the large pot. Cut the Velveeta into chunks. Add the meat, tomato sauce, and Velveeta to the pot of pasta. 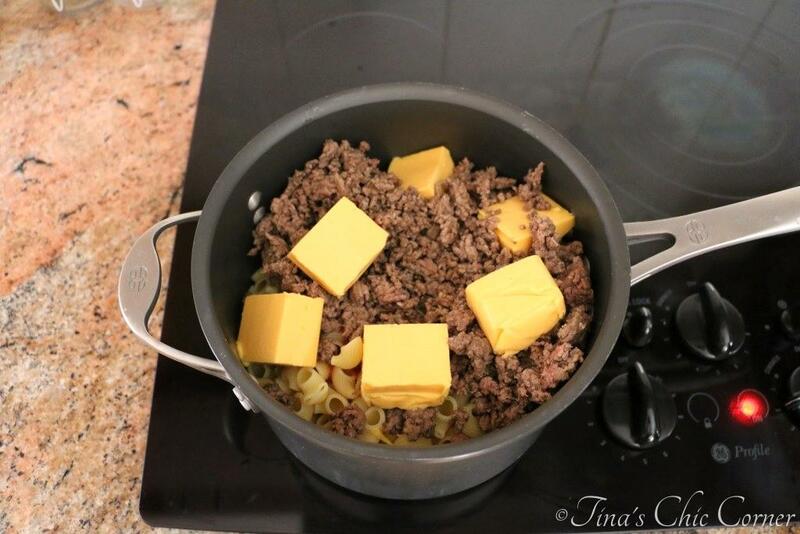 Stir to combine all of the ingredients together until the Velveeta is melted. Sprinkle the chili powder on top, to your personal dish. We all seem to be short on time so a quick meal is key. If a new recipe seems like it will take too long then I might not make it, especially on a week night. How does a 20 minute meal sound to you? Sounds perfect to me. You can cook the pasta and ground beef at the same time to save time (in separate pots of course). This meal is super affordable and you probably already have all of the four ingredients on hand. Yup, you only need 4 ingredients! I’m loving that. My husband feels the chili powder isn’t optional so maybe 5 ingredients for him. You don’t specifically need pipette pasta. Any small size pasta will work. As a kid, my husband’s mom often used this dish as a way to finish off multiple nearly empty boxes of pasta so the kind you use doesn’t even have to be just one shape. 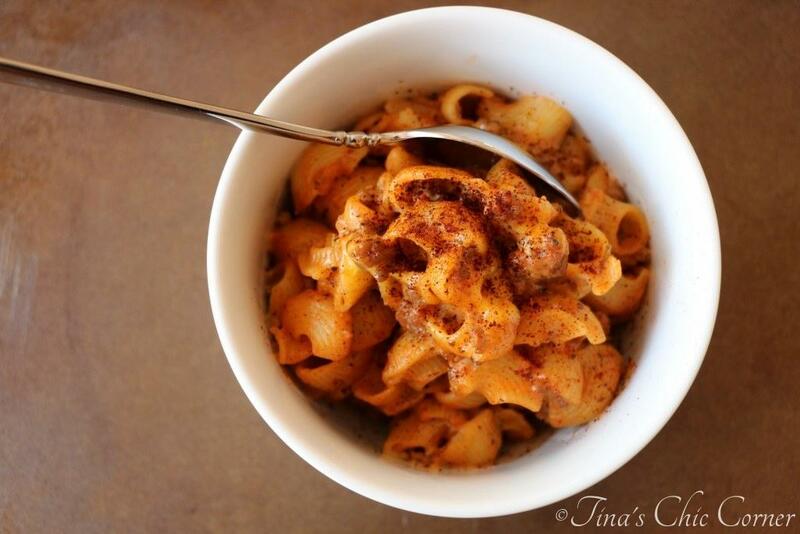 Once the pasta and beef are done, you simply mix all of the ingredients together. 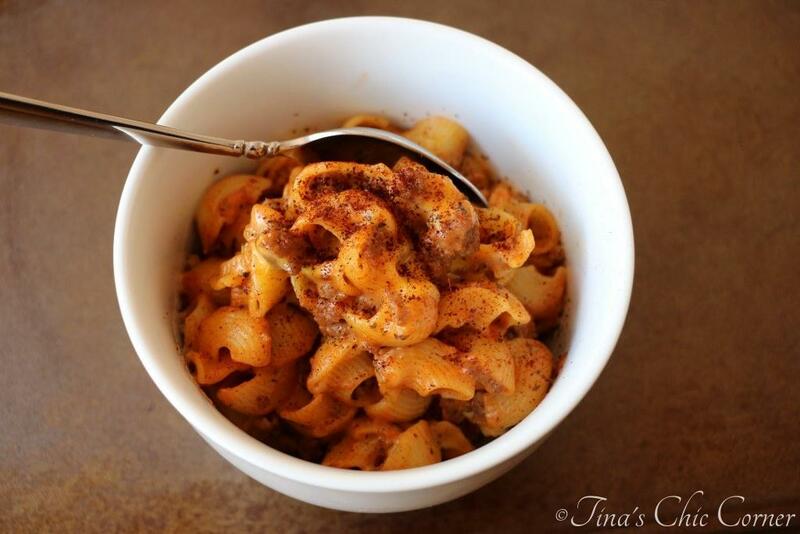 Unlike regular mac and cheese, this has a bit of tasty sauce in it too. Actually now that I think of it, this dish is a bit more like American Chop Suey with cheese in it. It seems too simple, but it is truly an awesome tasting meal. You know the old saying, “less is more?” That’s definitely true here. Source: Thanks mom-in-law for an awesome family recipe! This cheese slop looks amazing, especially because it has Velveeta. I love that stuff, forever and ever. Definitely a supper winner here! I never heard about something like this until now too. Boy, I’ve been missing out. 😉 Glad I know of it now! Tina, I enjoyed your thoughts on feel-good food! I’ll have to try this recipe out on my hubby. 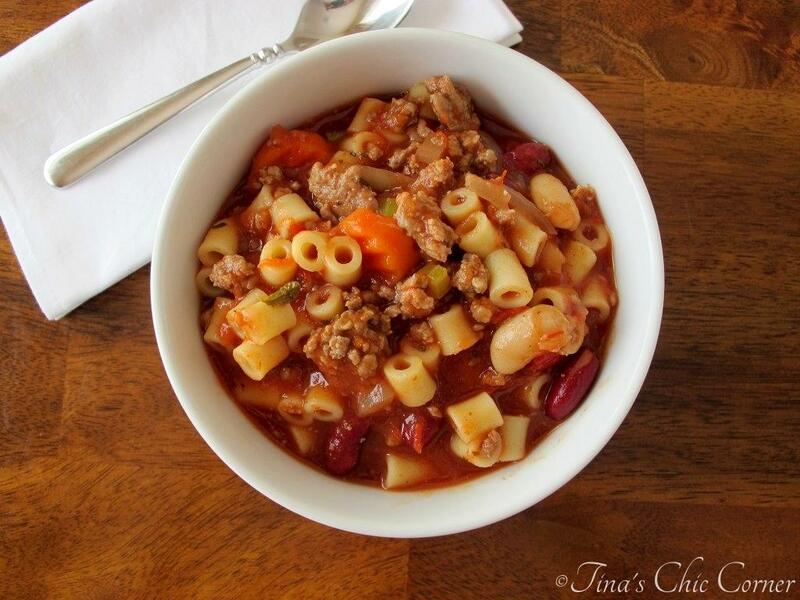 (His version involves “the blue and yellow box” and is fondly known as “Junk.”) The chili powder kick appeals to me, as does anything involving pasta… the ultimate comfort food! Thanks for this. I never would have dreamed that something with the word “slop” in it could be appealing, but you may have convinced me! This reminds me of a dish I loved when my husband and I first met and I started cooking for him. We made it out of Kraft Mac & Cheese box but added onion, garlic, tomato and ground beef to it. Total comfort food and I love it! Thanks for sharing Tina. Foods that remind us of childhood are always the most comforting! 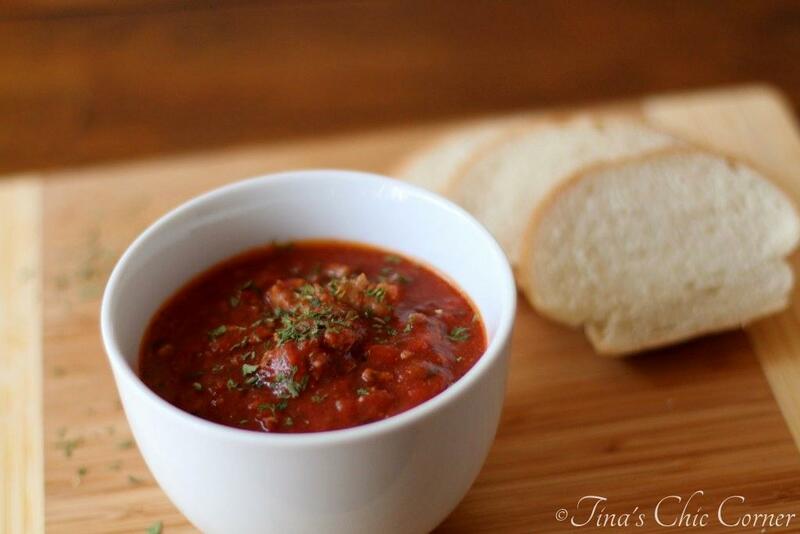 Love how simple this recipe is and how few ingredients it takes. Great way to feed lots of hungry tummies without spending much money. I don’t even care if the name of this does include the word slop, it looks like comfort food at its finest!! 🙂 Yum!! be great for any size group or even for 2 people. This will definitely go into the rotation. Next time I’m going to try ground italian sausage rather than ground beef. I’m so glad that you enjoyed this! Don’t you just love it when the sauce gets stuck in all the nooks and crannies? 🙂 I’ve heard of Papa Joe’s seasoned salt but I’ve never tried it. I definitely think Italian sausage would be a great substitute and give the dish a nice twist… I may have to try that too. Thanks so much for stopping by! Haven’t had a chance to try the version with italian sausage yet, but I will report back when I do! So, italian sausage is a big plus here! I used Johnsonville because it was most convenient given the weather this weekend, but we have tons of local Italian meat markets in the Philly area that make their own sausage so I will be experimenting with others. Johnsonville’s is ground like ground beef, but with others I could experiment with links or sausage meatballs. – I reserved a cup of pasta water, of which I added about half a cup to the pot w/ the other ingredients. (Be sure to salt your pasta water, but not *too* much — yes the water should taste salty, no it should not be as “salty as the sea.”). Half a cup might have been a bit too much, next time I will do a quarter cup instead. – I added a splash of heavy cream (I did not measure, but let’s say 2-ish tbsp, maybe 3). I had it in the fridge from a different recipe and needed to use it soon, so I figured “why not?”. Made the cheese sauce more “saucy” and also added a creaminess (obviously). – A pat of butter (approx. 1 tbs). I’ve been adding a pat of butter to all sauces lately, with generally positive results. Dinner tonight was delicious, this one is absolutely a keeper (with maybe a bit less pasta sauce)! I didn’t even add anything on top (no Papa Joe’s, no chili powder, no salt or pepper). Just scarfed it up as-is.